The universe is a pretty big place... lets go explore it! That's just what you'll be doing in Afterverse, a new sci-fi RPG that's up on Kickstarter now. It uses a D6 system that's designed to minimize rolling (considering how my dice have been lately, I'd be up for that) and promotes RP within the game. Welcome to the universe. Here's what comes next. The universe is a rough place, and now you're in the thick of it. 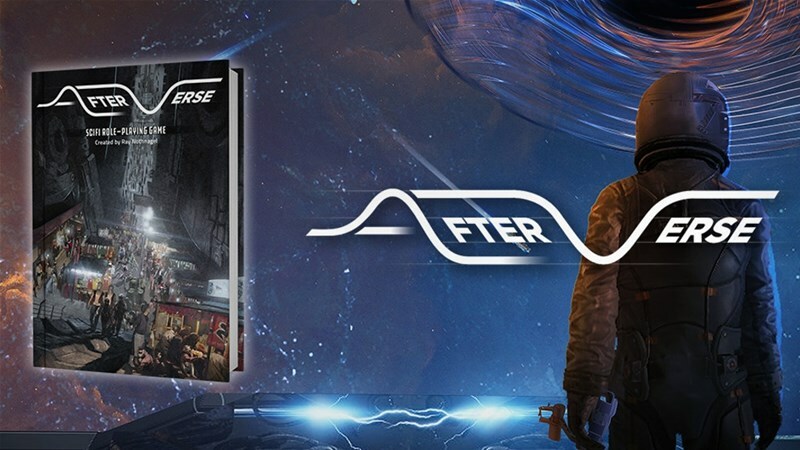 Whether you're fighting the Bactaran occupation that begins almost as soon as first contact is established, exploring the new frontier of space after humanity throws off its chains, or working towards the unification of all the species of the Orion Arm of the Milky Way galaxy, Afterverse puts the universe in front of you and sets you against it. The campaign is just up and over its goal with still 14 days left to go.